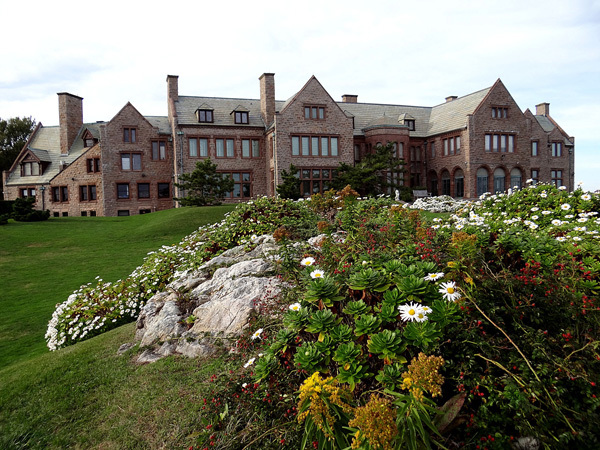 Designed by Frederick Law Olmsted, Sr. in 1887 for the Vanderbilt family, this Picturesque landscape bordering the Cliff Walk and overlooking the Atlantic Ocean frames the granite and red sandstone mansion designed by Peabody and Stearns architects. 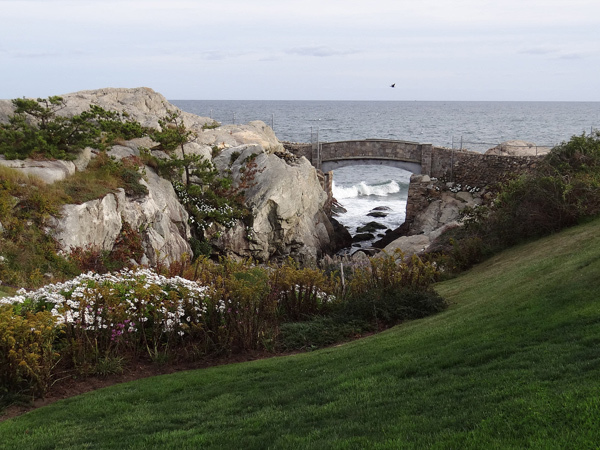 Completed in 1891, the 10.8-acre property perched atop rugged cliffs features sequenced views created by layers of foliage and dramatic topography. 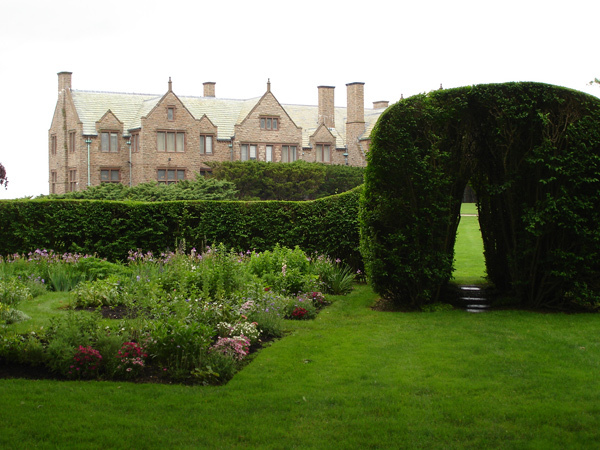 Olmsted’s design employs strategically placed specimen trees, a sweeping expanse of lawn between the house and cliffs, and an arched stone bridge. In 1908, the property was sold to William Leeds who engaged John Russell Pope to renovate the house. 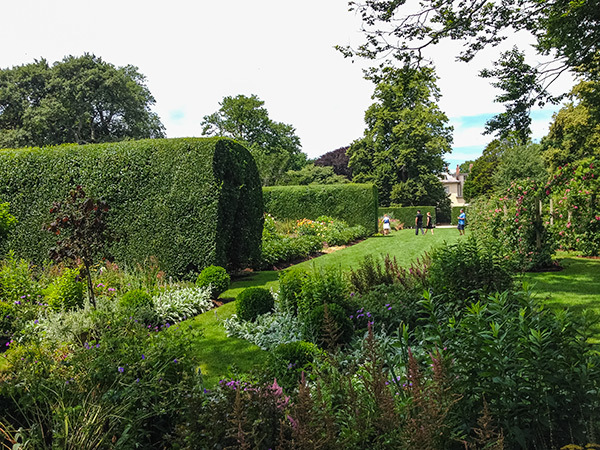 To the inland side of the property, Leeds added an enclosed privet garden with tunnel-like openings. 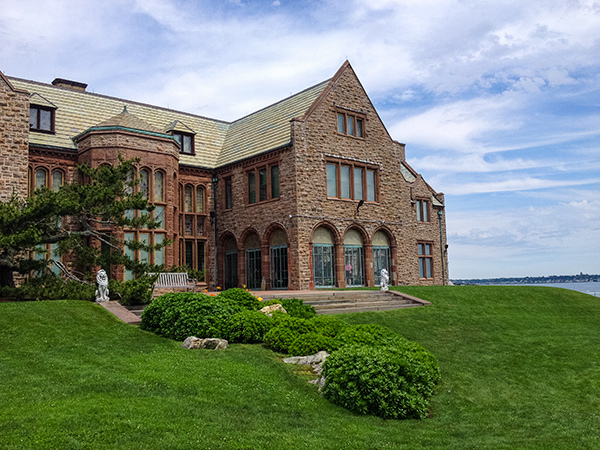 The property was purchased in 1922 by industrialist James Duke who commissioned Horace Trumbauer to renovate the mansion with the addition of two new wings and a sea-side solarium. 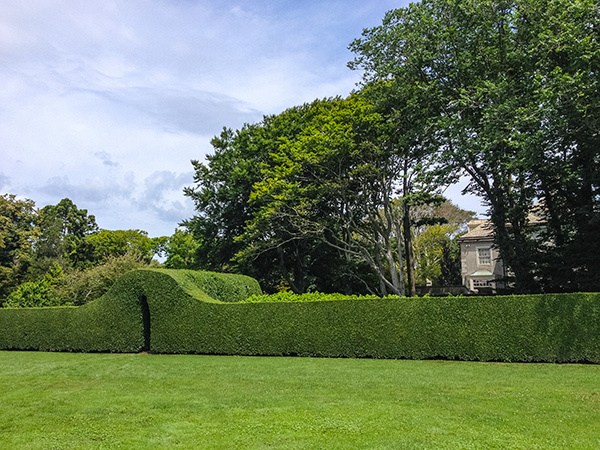 Duke removed existing croquet and tennis courts, added a driveway, and installed additional hedged formal gardens. In 1925, Duke passed away and bequeathed Rough Point to his 13-year old daughter Doris Duke. 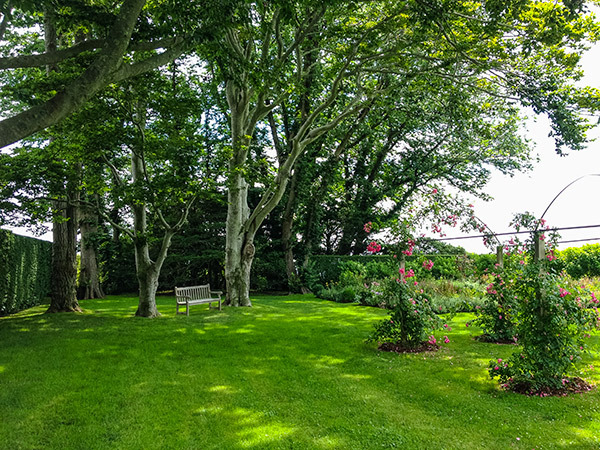 Doris, who utilized the property for occasional stays throughout her life, added cutting gardens, vegetable beds surrounded by privet, and a rose arbor and dwarf peach trees near a stand of Olmsted’s hardwoods. Olmsted’s arched bridge, damaged in a 1938 hurricane, was restored to his original design. 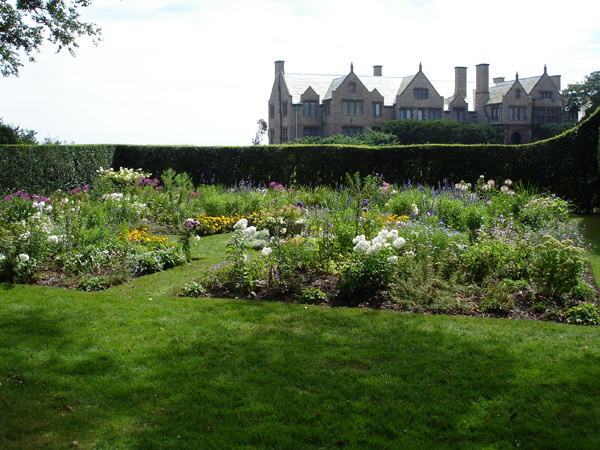 In 1968 Duke founded the Newport Restoration Foundation to promote Rhode Island’s historic properties. 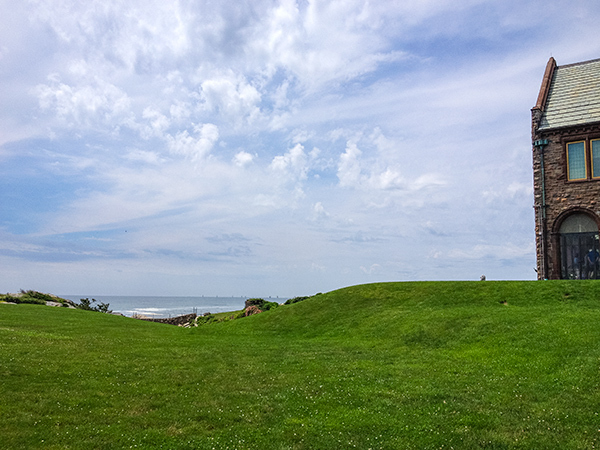 In 1976 Rough Point was included in the National Historic Landmark District for Bellevue Avenue. Duke passed away in 1993, and Rough Point was opened for tours in 2000.